Congratulations Zahra on your ‘16 #kiaoptima from @danisauto 拾 #POPTHATTRUNK! You could be next, give us a call today 215-335-3333! Big thanks to both George and Bryan for helping me leave with a new car! I was able to get a car I actually wanted! They provided great service and got me in and out! Go check them out! Danis Auto on Harbison | Philadelphia, PA "Julio was great on time answered all questions and very specific. George worked hard to give me the car that I desire. Chad was very quick with paperwork. This is my Second purchased from Danis Auto. It’s time to #POPTHATTRUNK 拾 Congrats on your #BMW from @danisauto! You could be next, give us a call today 215-335-3333! Congrats on your 2016 #Nissan Altima from @danisauto 拾 #POPTHATTRUNK! You could be next, give us a call today 215-335-3333! Danis Auto on Harbison | Philadelphia, PA "Professional and polite. Well spoken and friendly! Felt really comfortable talking and discussing vehicles." says Mitchell on Google★★★★★ Professional and polite. Well spoken and friendly! Felt really comfortable talking and discussing vehicles. Danis Auto on Harbison | Philadelphia, PA "Good prices good cars friendly staffI'ma love my new baby 17 Toyota CamryThanks Julio !" says RakimRhak on Google★★★★★ Good prices good cars friendly staff I'ma love my new baby 17 Toyota Camry Thanks Julio ! Congratulations Lamar on your 2017 #FordFusion from @danisauto  It’s time to #POPTHATTRUNK! You could be next, give us a call today 215-335-3333! Danis Auto on Harbison | Philadelphia, PA "Brian was my salesperson....everyone was so accommodating...Thanks Dani's!!!" says tiherra on Google★★★★★ Brian was my salesperson....everyone was so accommodating...Thanks Dani's!!! Can you feel the ENERGY!? At @danisauto we make car buying fun  Congratulations Summer on your #Honda Accord! You could be next, give us a call today 215-335-3333! Danis Auto on Harbison reviews | Car Dealers at 6250 Harbison Ave - Philadelphia PA "Very helpful and resourceful. I enjoyed my experience.!" says Porsche on Google1588 reviews of Danis Auto on Harbison from Philadelphia, PA Great cars great Service. Big thanks to both George and Bryan for helping me leave with a new car! I was able to get a car I actually wanted! They provided great service and got me in and out! Go check them out! Comments Congrats now come get detailed. ★★★★★ Thanks to Maurice and Chad I am driving off in an 2017 Buick !!!! I am very much sooooo pleased with the service I received today. I will be sure to tell family and friends to stop by Danis Auto. Thanks again guys. Danis Auto is the best in the world !!!! ★★★★★ Angel is the best!! Came in with no down payment, was really here to just look around. Ended up leaving with a major upgrade! Definitely recommend! ★★★★★ It was the easiest process I’ve ever had with getting a new vehicle. Very professional. Very welcoming and accommodating. John Jimenez was super cool and easy to work with. The previous reviews were accurate. ★★★★☆ Great guys. They are very professional and do their very best to find you exactly what you’re looking for. The vehicle you want with in your budget. ★★★★★ Professional and polite. Well spoken and friendly! Felt really comfortable talking and discussing vehicles. ★★★★★ Good prices good cars friendly staff I'ma love my new baby 17 Toyota Camry Thanks Julio ! ★★★★★ Maurice was very kind and helpful would definitely tell people about him and George helped me alot to get the car I wanted. ★★★★★ Brian was my salesperson....everyone was so accommodating...Thanks Dani's!!! ★★★★★ Just bought my 2015 Maxima from here Today. Exceptional people, very understanding, and patient. My recommendations go to Julio for being an awesome dealer. ★★★★★ I had my doubts about being able to drive away, but Dani’s Auto and Julio made sure we drove away with a beautiful car. I can’t thank you guys enough. If your looking to purchase, make sure you stop by Dani’s first. 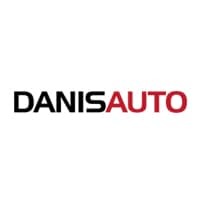 1588 reviews of Danis Auto on Harbison from Philadelphia, PA Great cars great Service. Comments Best car dealer in Philly. Definitely not your typical car dealership. "Julio was great on time answered all questions and very specific. George worked hard to give me the car that I desire. Chad was very quick with paperwork. This is my Second purchased from Danis Auto. Thanks Guys Nakia ❤️"
"Courteous & patient ... they assisted me wholeheartedly until I was satisfied !!! I'd definitely recommend them ..."
"Thanks to Maurice and Chad I am driving off in an 2017 Buick !!!! I am very much sooooo pleased with the service I received today. I will be sure to tell family and friends to stop by Danis Auto. Thanks again guys. Danis Auto is the best in the world !!!!" "Dani’s Auto was the best experience buying a car. I was the 1st to arrive with my husband. I was greeted and taking care of immediately. Upon arrival to the sales office the place was very clean. Majority of their vehicles are nice luxury cars. Angel was my salesman who got me in and out with no pressure. My credit wasn’t the best and I had no money down and he was very straight up about what I was looking at and what I had to do to leave with a car. Thanx to Angel my husband and I left with an Cadillac SRX that we love. I love that place and will be back for our next car."